Our Best Answer - What information and resources are available to students before and after semester conversion? Your primary resource is your advisor, who can help you take the right courses to graduate on time or transition to semesters. Your MyPlanner in your BroncoDirect Student Center will help you map out your future courses. Additionally, updated curriculum sheets and road maps with semester curriculum information are now available. There are also several places you can find information related to semester conversion. In addition to the Semester Conversion website, you can follow the Bronco Advising Center on social media for timely updates. 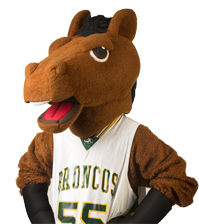 You should also read your BroncoBytes student newsletter and semester conversion newsletter for updates. For the most up-to-date information about semester conversion, visit the Semester Conversion website. Do you have any academic support programs?